Report on Anti-Hail Protection System Work Works fulfilled through anti-hail protection system in Kakheti region in 2015 was evaluated at State Military-Scientific Technical Center “Delta”. The report was held together with the Ministry of Agriculture of Georgia. 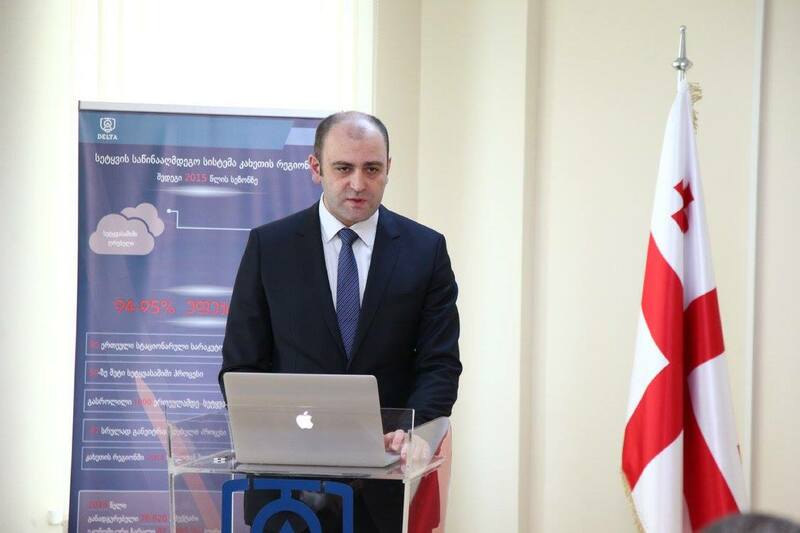 General Director of “Delta”, Ucha Dzodzuashvili presented the report to the invited guests. 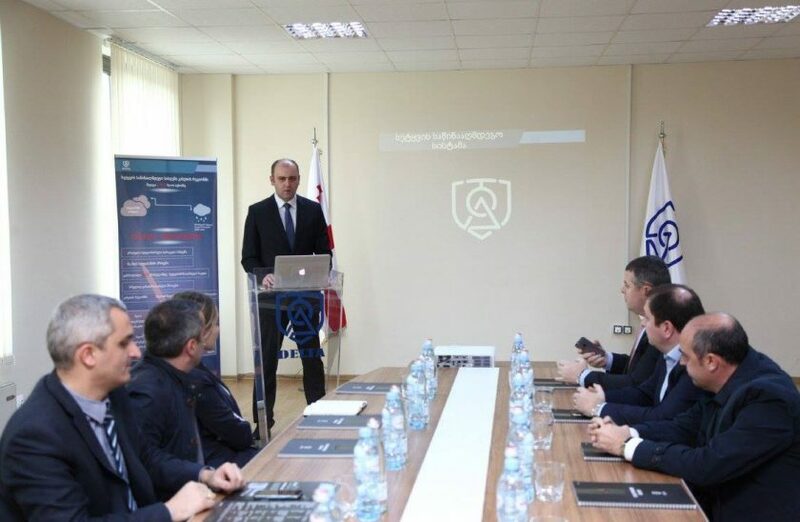 Minister of Agriculture Otar Danelia, First Deputy Defence Minister Davit Ebralidze and officials from other ministries attended the presentation. “Anti-hail protection system is one of the most important projects of “Delta”. According to the final evaluation we can count it as a successful project as its efficiency was quite high. We are glad “Delta” is carrying out very successful projects which continues in the future as well”, stated Davit Ebralidze. “Delta” launched working on anti-hail system in 2013 under the Government order. The most part of the electronic and mechanical components of the system were produced in “Delta”. The system includes the following: Command and Control Center in Tbilisi, Central Meteorological Radiolocation near Signagi and 80 items of missile launcher throughout Kakheti region. The system launched its first shootings on May 28. In total, up to 1000 items of anti-hail rockets is launched from the system. During summer and autumn 50 process of hail threat was occurred in Kakheti. Among them the system neutralized 47 occurrences. As final results, the anti-hail protection system showed us 95% of effectiveness throughout this year. The anti-hail rockets are made in world standards which contain silver iodide-containing reagents and are ecologically safe. 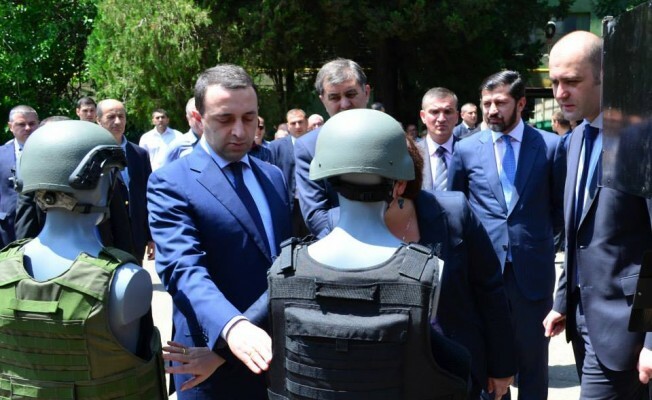 Georgian Prime Minister Irakli Garibashvili visited LEPL State Military Scientific-Technical Centre DELTA. Minister of Defence Tinatin Khidasheli and Director of DELTA Ucha Dzodzuashvili hosted Head of the Government. 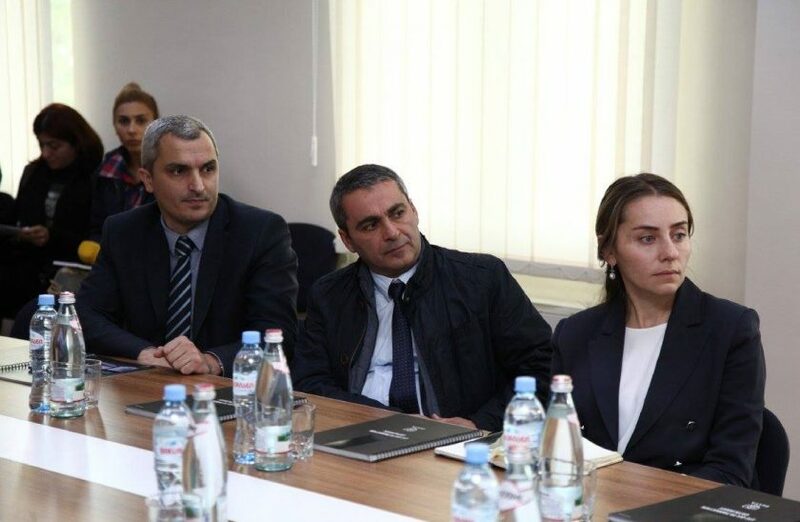 Among the visitors of DELTA were Minister of Energy Kakhi Kaladze, Minister of Agriculture Otar Danelia, Minister of Corrections and Legal Assistance Giorgi Mgebrishvili and Minister of Internally Displaced Persons from the Occupied Territories, Accommodation and Refugees of Georgia Sozar Subari. The visitors first viewed the 8th plant in DELTA and attended the manufacturing process of the production. Later on, the high-ranking officials had a look at the Anti-Hail Command Centre and familiarized with the working process on site. The scientists of the Centre observe the information about climate changes that are received from the Chotori Mountain radars on the computer monitors. 84 fire points located in Kakheti region are monitored from the Command Center as well. At the end of the visit, PM and Minister of Defence viewed the new production. This year the enterprise presented 15 new products of armament and military equipment: multifunction unmanned aerial vehicle, armored medical evacuation vehicle, armored vehicle for desert conditions, anti-hail systems and other defensive means. On March 17, 2015 the sixth Steering Committee Meeting of NATO Energy Security Center of Excellence was conducted in “Rooms” hotel by co-organization of NATO Energy Security Center and LEPL STC “Delta”. Members of the Committee and invited guests, including Mr. Andrius Krivas, Deputy Minister of Foreign Affairs of Lithuania, and other officials attended the meeting. Opening of the committee meeting was also attended by Mr. Gigi Gigiadze, Deputy Minister of Foreign Affairs, Mrs. Mariam Valishvili, Deputy Minister of Energy, Mrs. Natia Mikeladze, Deputy Minister of Economy, Mr. Archil Karaulashvil, First Deputy State Minister of Integration Issues to European and Euro Atlantic Structures, representatives of the Embassyes and attaches, representatives of NATO Information Center and NATO Support Center. Cooperation agreement between LEPL STC “Delta” and the Center was signed on October 16, 2014. First expansion of ENSEC COE by non-member country started by Georgia. 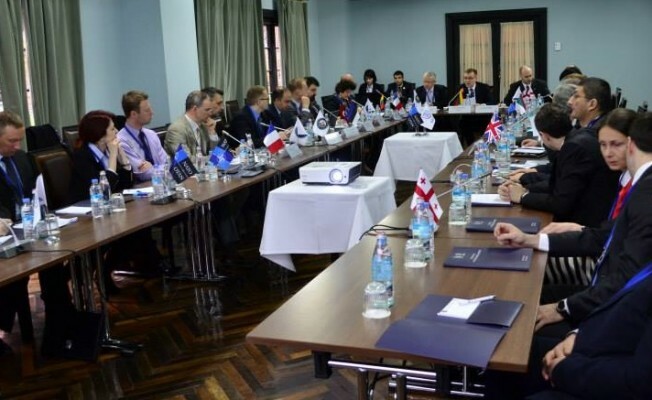 After the Agreement came into force, from Georgian side LEPL STC “Delta” that has one permanent representative in ENSEC COE, took part in researches and programs performed by the Center. Signing of such agreement with NATO non-member country is an unprecedented event. From Georgian side the document was signed by Mr. George Kvirikashvili, Minister of Economy and Sustainable Development, and from NATO side by Mr. Juozas Olakas, the Minister of Defense of Lithuania and by Mr. Gintaras Bagdonas, Director of ENSEC COE. On March 11-12, 2015 in Tbilisi in Radisson Blue conference hall the State Military Scientific-Technical Center “Delta” and Keysight Technologies conducted two-day seminar “Keysight Innovative Test and Measurement Solutions”. The first day of the seminar was devoted to Keysight Technologies presentation and was attended by Georgian scientists and specialists working in electronic sphere. On the second day Memorandum of mutual cooperation between mentioned company and SCT “Delta” was signed. Electronic measurement instruments, systems, software and service produced by Keysight Technologies are used in electronic equipment production-operation, namely, in digital device and various frequencies generation-simulation and etc. For development of electronic schemes the company prepares special programs that enable production of measurement electronic equipment that could measure frequency spectrum, check electronic signals and provide microchips operation. Within the scope of Memorandum, Keysigth Technilogies will provide software support to military and civil systems produced by STC “Delta” that will raise an issue of high-tech armament and equipment production in Georgia to the highest level. One of STC “DELTA”s work direction is performing demining operation works. 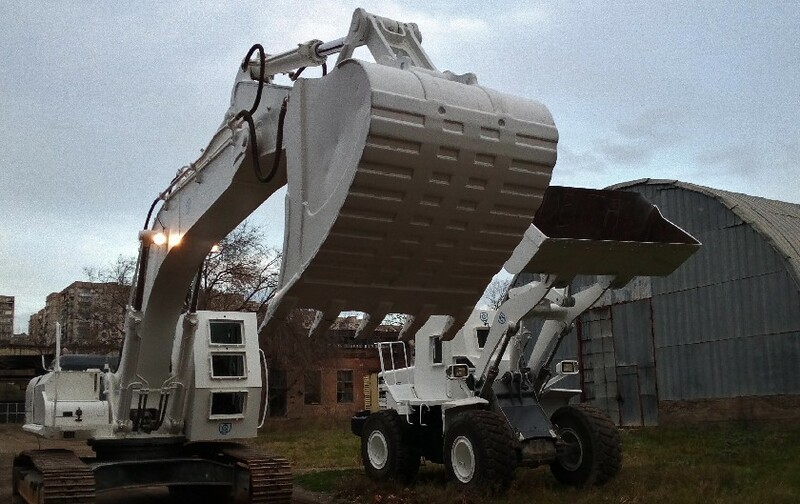 Nowadays “DELTA” is actively performing works of cleaning territory around village Skrasi from ammunition storehouse exploded during August war of the year 2008 and also cleaning nearby territory of explosive substances. For that aim several units of heavy engineering equipment were specially armored and prepared for performance of demining operations. The mentioned equipment enables to safely neutralize unexploded ammunition stuck in soil. Georgia became the Contributor - Partner of the NATO Energy Security Center of Excellence. Giorgi Kvirikashvili, Vice Prime Minister of Georgia, Juozas Olekas, Minister of National Defence of Lithuania and Colonel Gintaras Bagdonas, director of the Vilnius-based NATO Energy Security Center of Excellence signed an unprecedented agreement in Vilnius. Georgia is the first non-member contributor-partner country that joined the NATO Energy Security Center of Excellence. After the agreement enters into force, State military scientific-technical center, Delta will join in the studies and programs implemented by the center. It will have a permanent representative in the NATO Energy Security Center of Excellence. The signing of such agreement with non – member state of NATO is an unprecedented event. NATO Energy Security Center of Excellence was founded on July 10, 2012 and was officially opened on September 6, 2014 by the Secretary General of NATO and the president of Lithuania. The first widening of NATO Energy Security Center of Excellence by non – member state started with Georgia. The widening process will be completed by the United Kingdom, one of the founders of the North Atlantic Alliance in 2014. As Giorgi Kvirikashvili, Vice Prime Minister stated, all the experiences of these countries in the direction of energy security will be accessible for the scientific - military technical center, Delta. Besides, DELTA’s potential will be accessible for all alliance member states. “I think that this is a very good event to strengthen Georgia’s integration in this direction. This fact is of a great importance for improving Georgia’s scientific – military potential” – Giorgi Kvirikashvili said.